“To those who have experienced long years in exile, the return to their homeland is a celebration of abundant life. God calls them into an everlasting covenant of love. Those who return to the Lord will enjoy new life and forgiveness, because God’s ways are not our ways” (sundaysandseasons.com). This is a great, general explanation of what this reading is about. The people of God were in a time of great uncertainty and God reaches out to them. God reaches out to us as well—in times of rejoicing, in times of sorrow and in times of indecision and anxiety. One such time for myself was when my first husband and I were divorced and both of the kids were living with me. I was working two jobs; sometimes up to 80 hours per week. All the money that came in went out to pay for bills, groceries and gas. Needless to say, I was tired and anxious. One Sunday morning I was the lector at church in Rochester. This was the first lesson and I felt it was speaking right to me: “you that have no money, come, buy and eat! Come, buy wine and milk without money and without price.” As I read this aloud, I heard that I did not have to worry about the provision for my needs. God had it taken care of. Now, many years later, I can see that was the case. But this is not only about physical needs, but spiritual ones too. God is calling out to us, drawing us into a deeper relationship with God. This time of Lent, with its emphasis on prayer, is a good time to explore various means of prayer and how we can respond to our Lord’s overtures..
“Dinner Church” along with speakers from area agencies. ***Palm/Passion Sunday is April 14. The gospel reading is divided up into parts as in other years. It is The Passion of Our Lord According to Luke. We need some help presenting this as there are 9 narrative parts. We are looking for volunteers to read the parts which are as follows: Jesus, Peter, Centurion, Servant, Witness, Pilate, First Criminal, Second Criminal and narrator. No acting experience necessary. 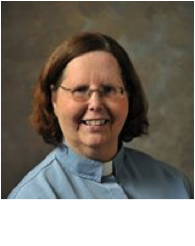 Please let Pastor Ivy know if you are able to help with this. in memory of a loved one, please complete this form and place it in the offering plate by Sunday, April 7th, or return it to the church office no later than Wednesday, April 9th. Price is $8.00 per plant. Please include payment with your order. If paying by check, make payable to “St. Timothy Lutheran Church”. 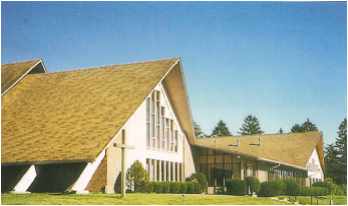 ▪ Lutheran Church of the Redeemer in Rochester due a fire on February 18th. ▪ Rev. Don Ray, George & Janet Balcom, Pat & Maureen Kibbe, Beverly Klang, Trudy Fetzner, Arden Johnson, Thom Shagla, Matt Isaacson, Sarah Van Staalduinen, Mabel Tranum, Bryan Brown, Craig Jackson, Marty Maxwell, Jim Doherty, Karen Brown, Ross Gardner, Bonnie Christoferson, Zachary Stewart, Scott Stearns, Zachary Frazier. For people serving in the military, including Ben Wickerham, and their families, those caught up in persecution, violence and war.